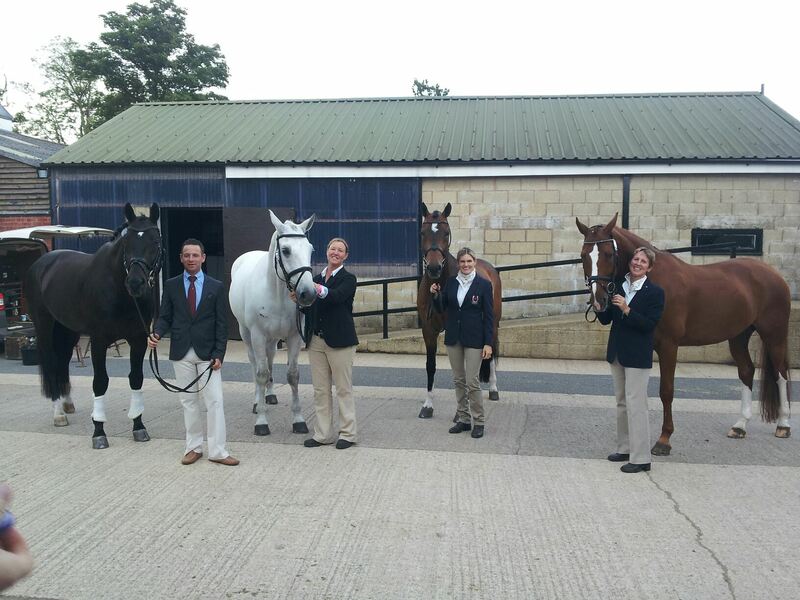 Meet our Canadian Dressage Team! 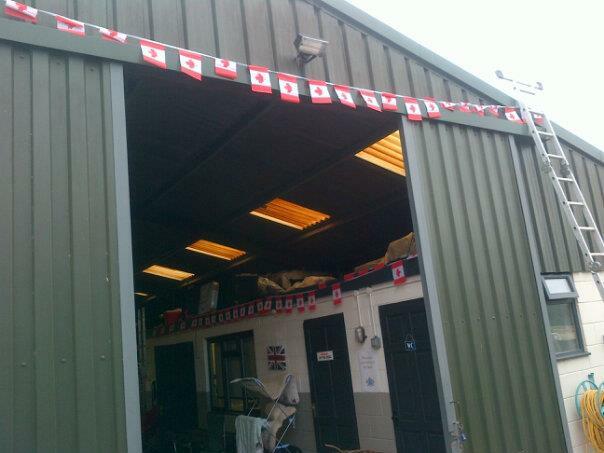 Our Canadian Dressage Team have been in England since mid June. 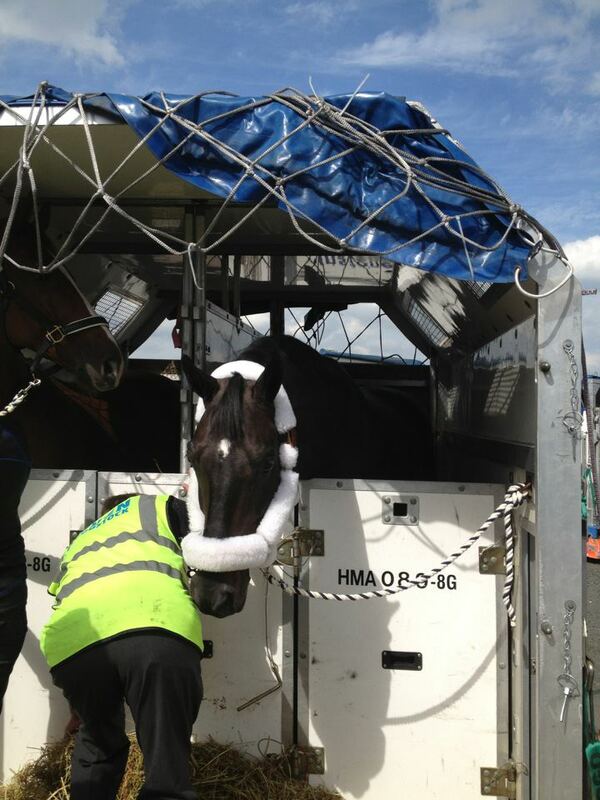 I received an email today from Team Manager Christine Peters to say that herself and chef d’Equipe Gina Smith arrived safely in London today from Ottawa. Team Vet Dr. Geoff Vernon arrives on Monday July 16th. Which is now making me even more anxious than ever to get over there and get ‘stuck in’. Here are some great photos posted by Diane Creech, Jaqueline Brooks and David Marcus who have been doing a fantastic job keeping everyone updated (and entertained!) on their Facebook pages. 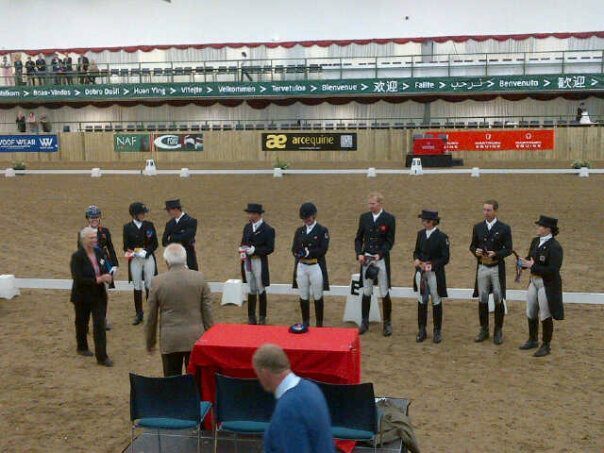 Canadian Dressage Team at Hartpury ribbon ceremonies…great results! Diane Creech was invited to speak with a Grad 5 Class and answer question about the Olympic Games and what it takes to get there. 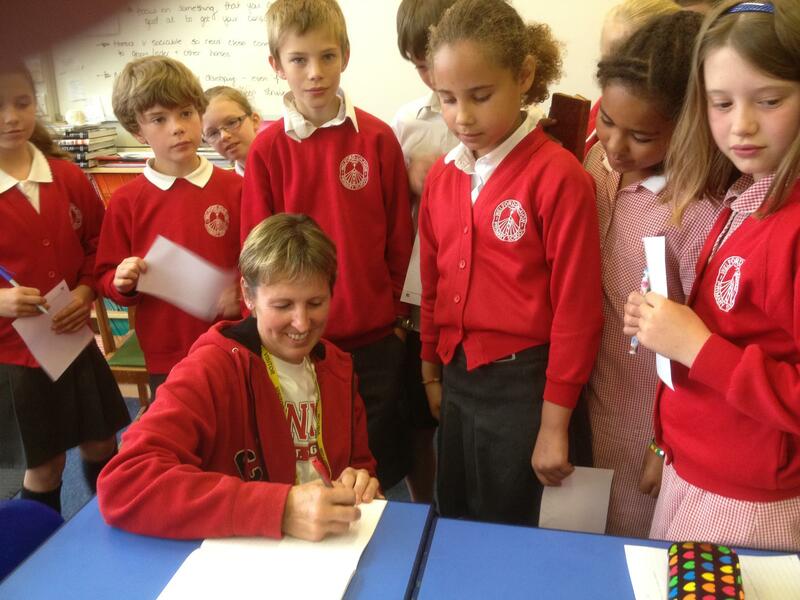 Diane is now famous in England!